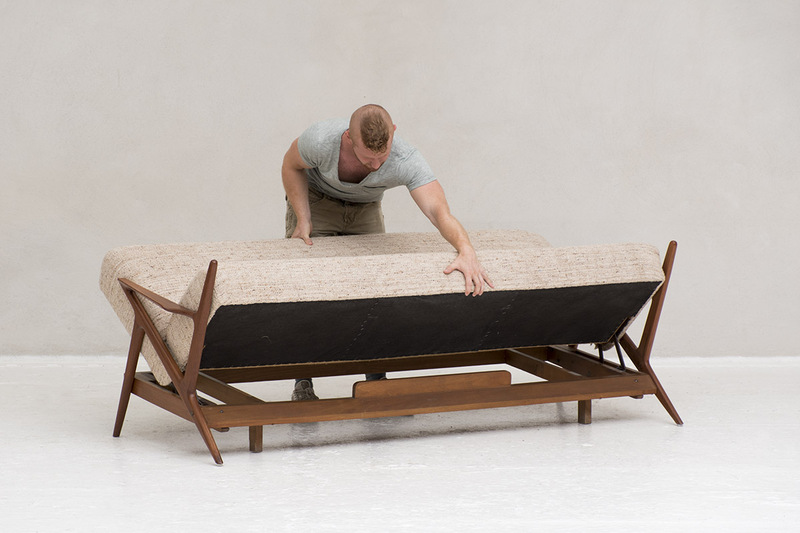 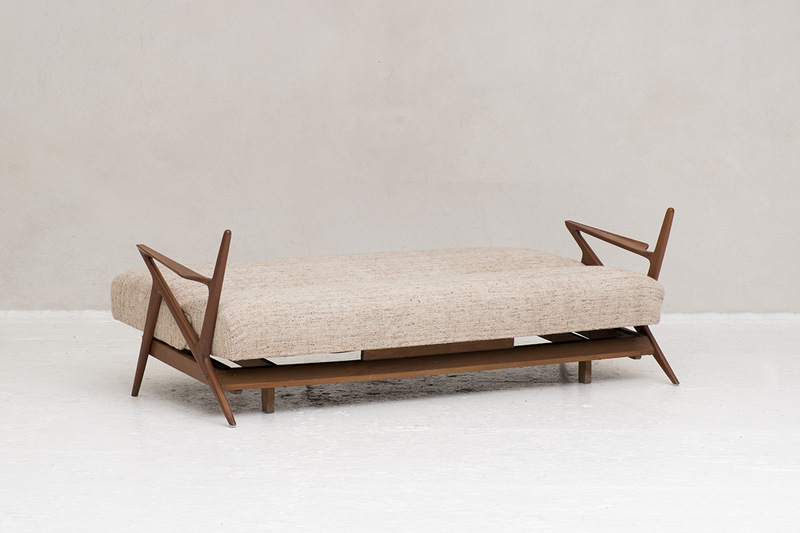 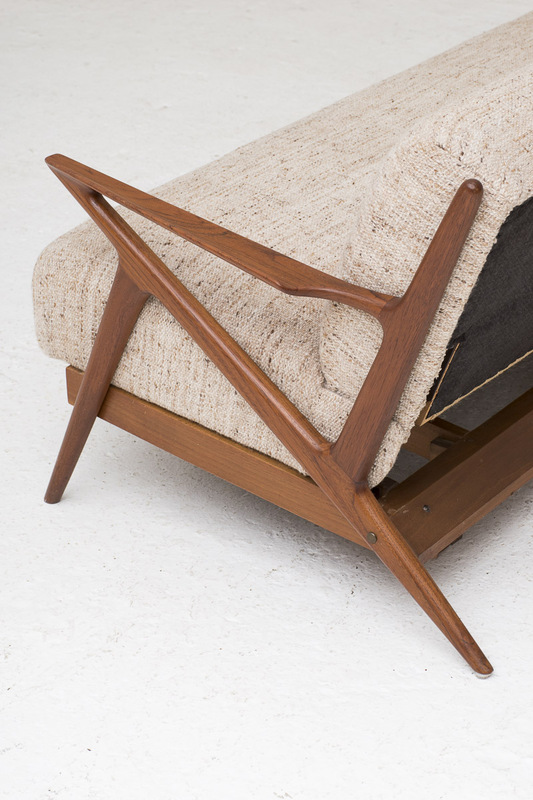 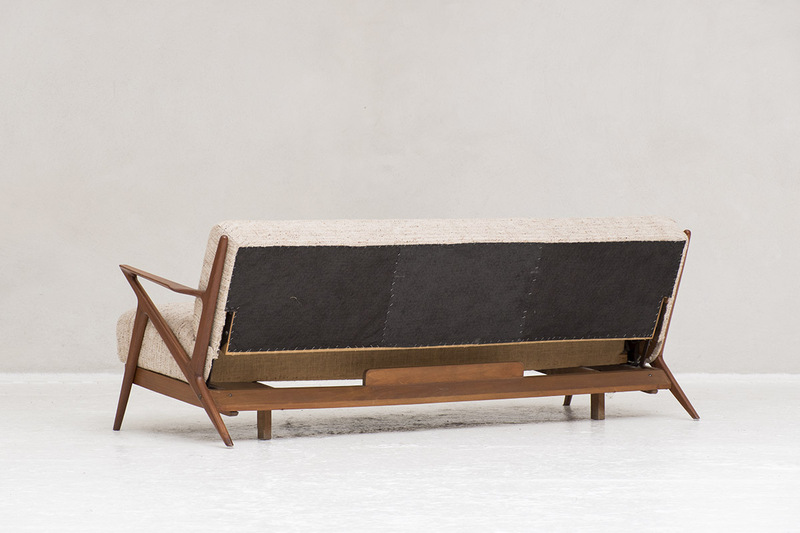 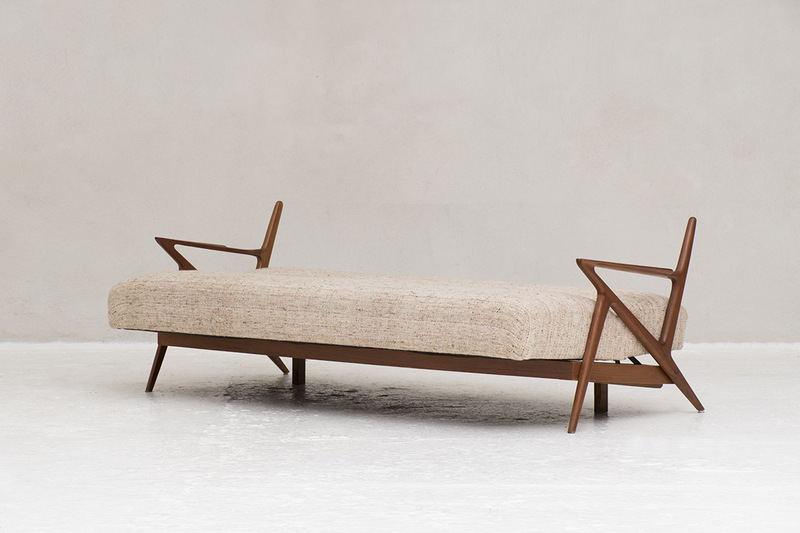 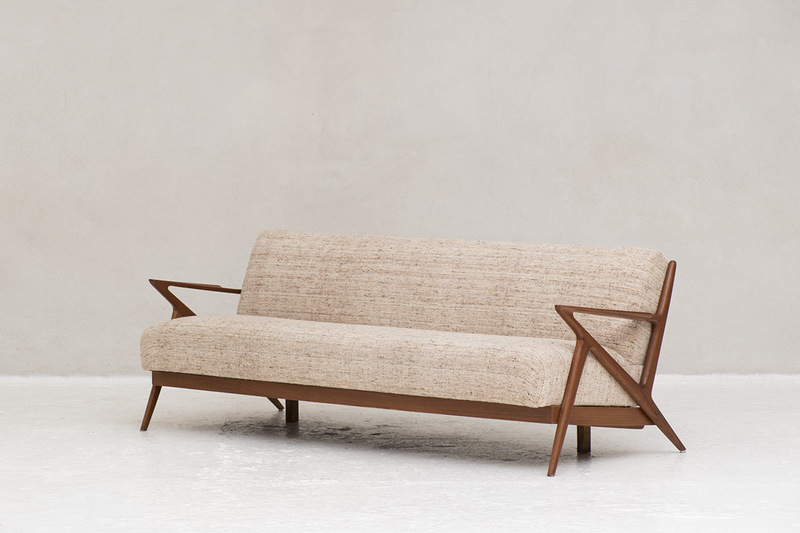 Z-sofa/daybed designed by Poul Jensen and produced by Selig OPE in Denmark around 1950. 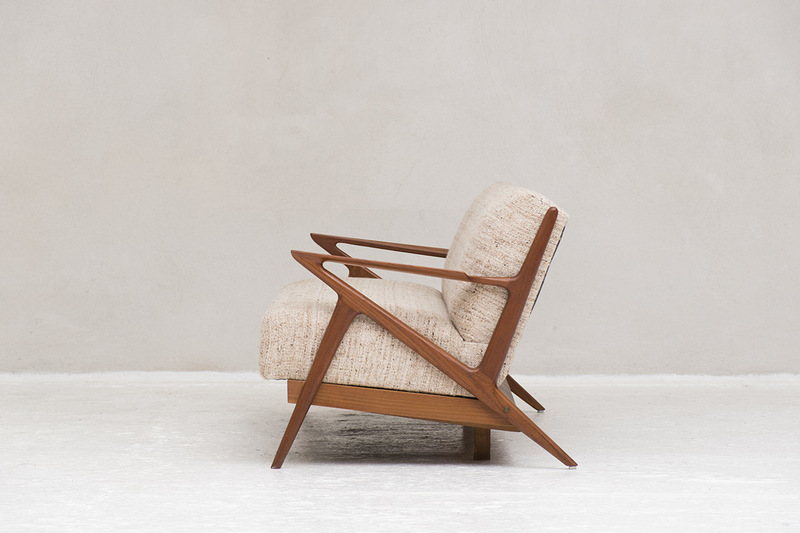 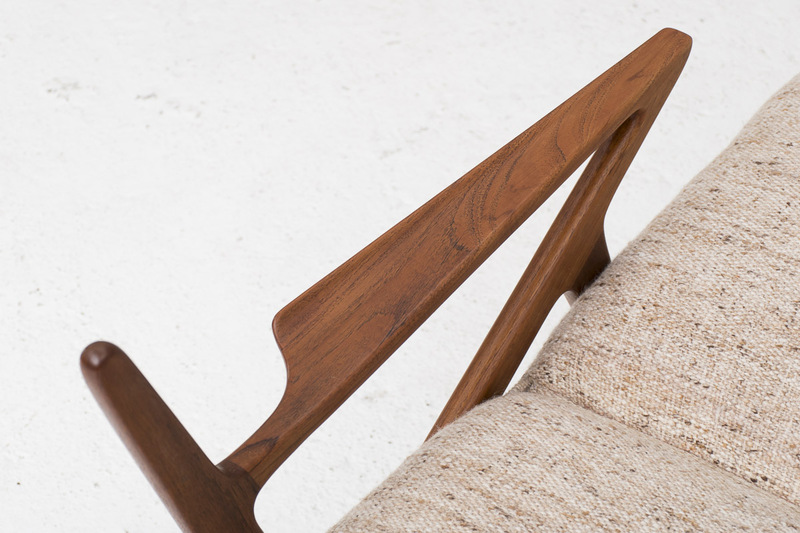 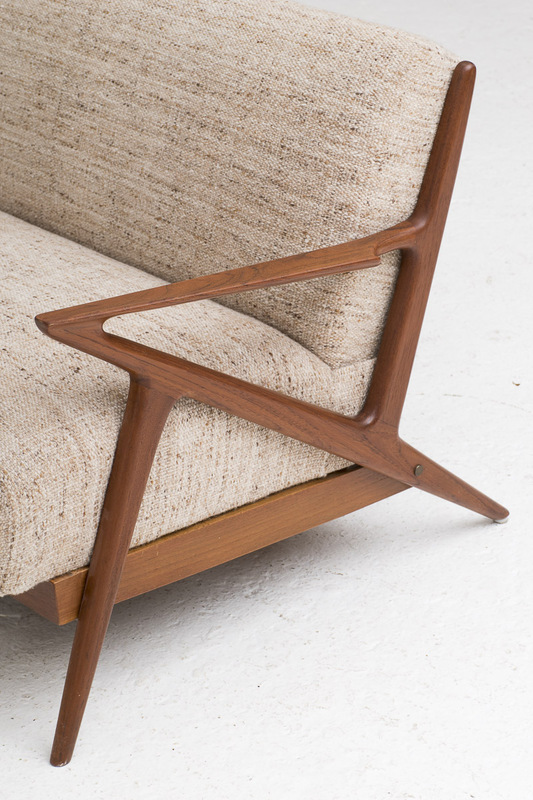 Solid teak frame with Z shaped armrests. 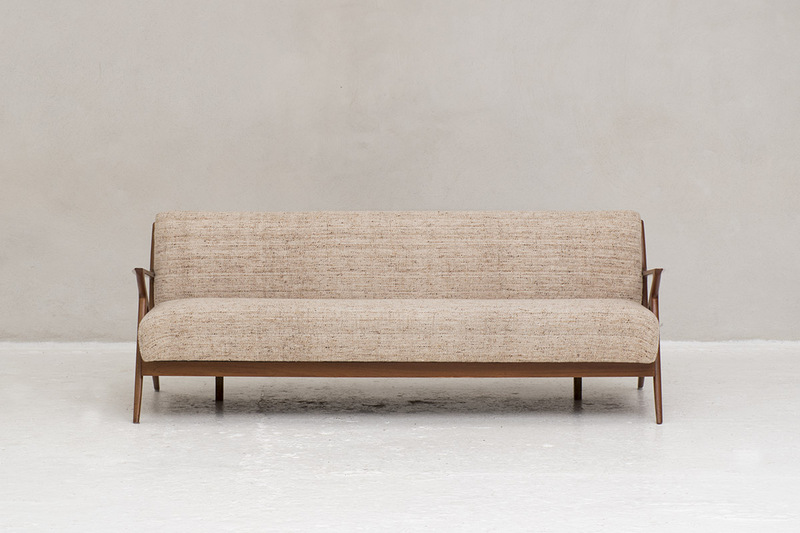 From sofa to daybed in one fluent move. 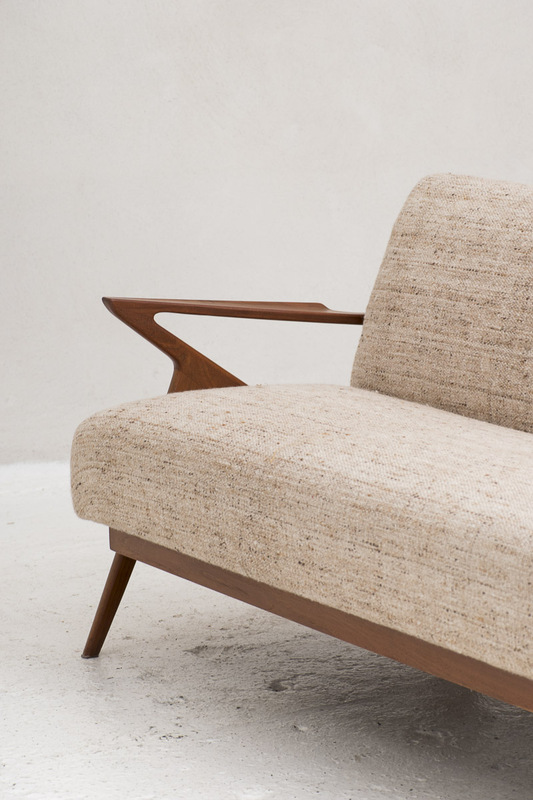 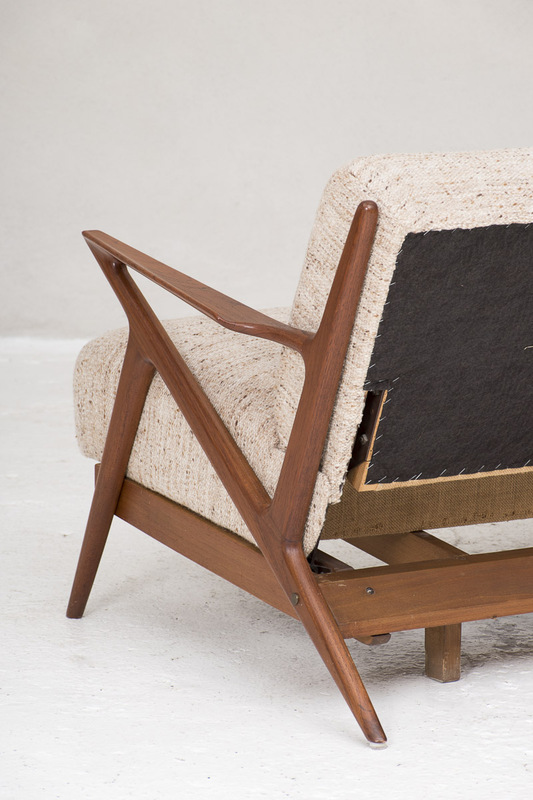 Original woolen upholstery.